The RebTech 8GPU-MB mining motherboard is what is more interesting here as it offers an all-in-one solution with everything you need to setup up to 8x GPU mining rig with it. 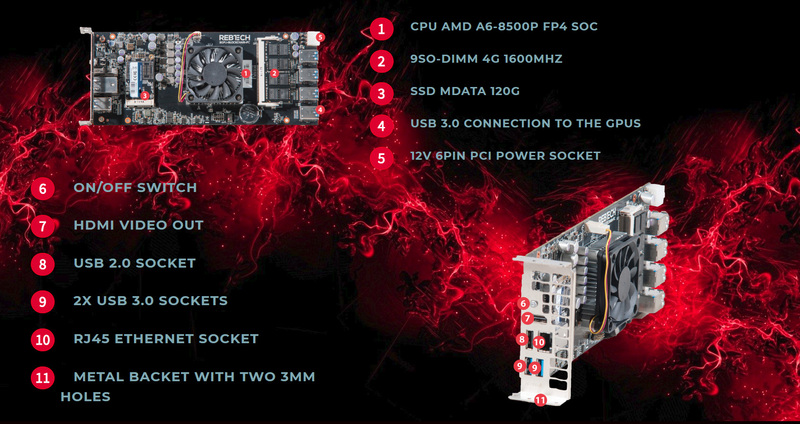 The motherboard comes with AMD A6-8500 CPU with integrated GPU, 4G DDR3 RAM, 120G MSATA SSD and features 8x USB/PCI-E extenders on board. 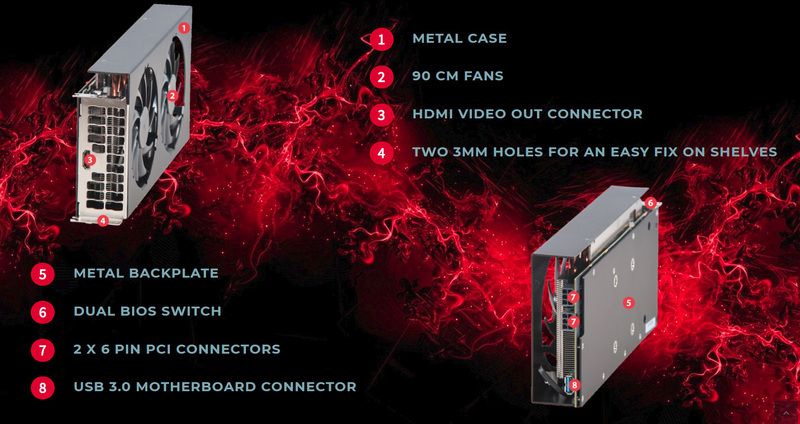 The whole thing is similar in size and in form factor to a GPU and you can apparently mount it just like another video card in your mining configuration. What makes it even more interesting is the fact that the motherboard is powered with 12V only via a single 6-pin PCI-E power connector, again just like a video card. This means that you can go with a cheaper and more efficient server-type power supply that only outputs 12V, similar to what most popular ASIC miners go along with.